Final day of 2011. What will 2012 bring? I’m posting this article from my phone because where I’m at doesn’t have internet. To be brief, 2011 was a year that pushed me to very brink. The thing that kept me pushing forward was the talent continuing progression. Because of this, so many positive things have happened it assures the success of IMTM for many years to come. Special thanks to all that I’ve worked with over the years and currently. But especially Christa Graziano who has been there from the start. Also The Collins Twins, who I value very highly. And more recently Tia Guice and Beatrice Jean, both special to me. Majeedah Giddens worked through countless situations to get where she is. Flying Without Wingz, I was there from the start, both Irawniq and VC are super talented. I was honored to work with Kavita Channe and to count her as a friend. Jessica Rochelle is in my life again. Even more recently The Fairfax Twins, Aniley Perez and Gabrielle Lillian are poised to make big moves. I can’t mention everyone but trust me, I have talent that you have seen and will see even more of over the next decade. Have safe holiday. Be sure to review my website. 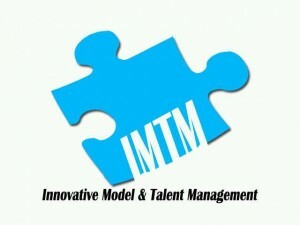 To find out about talent, availbilities and to book email imtmworldwide@gmail.com. Christa Graziano had the best shoot ever, 6 looks all in one day. TIA GUICE SHOWS WHY PEOPLE LOOK TO BOOK HER!